FxPro has signed an agreement to be the main sponsor of AS Monaco FC, in a deal that will include prominent branding on the team shirt and around the club’s historic stadium. The Forex trading platform may have freed up some budget to do the deal when it recently declined to exercise an option in their sponsorship contract with football team, Aston Villa, said to have been worth £3.5 million-a-year. The Monaco sponsorship comes on the heels of an announcement earlier this month that the company had cut a deal with World Sport Group (WSG), to become an official partner of the the Asian Football Confederation (AFC) Champions League. Asia is a core market for FxPro as it expands its business in Asia and the Middle East. In a crowded category with little product differentiation and a plethora of "me-too" products, FxPro is not the only company using sponsorship to create brand awareness. In the UK, IG Index recently extended its investment in cycling, announcing a major campaign around the Tour of Britain. Meanwhile, in January FxPro-competitor, Alpari, recently partnered with New York Knicks, New York Rangers and Madison Square Garden, it's first deal in the U.S. In December, the Moscow-based company also signed a major sponsorship with Russian football team FC Spartak. We are excited to partner with Madison Square Garden and its admired sports teams,” said Daniel Skowronski, CEO of Alpari US. “This is our first sponsorship with a US sports team and I believe it truly demonstrates Alpari’s growing influence in the United States and the increased awareness of the Alpari brand. 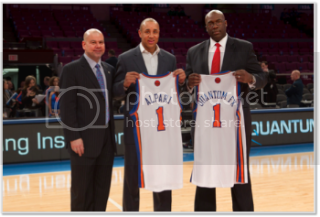 We are eager to introduce Alpari to different communities across the world and proud to do it at Madison Square Garden." Turning to Formula One, FXDD has a deal with Red Bull Racing, which was recently extended. As part of its sponsorship, FXDD’s logo appears on the cars and race suits of the team. While others are putting serious money into sports, one category leader seems content to sit on the sidelines when it comes to sponsorship spending.